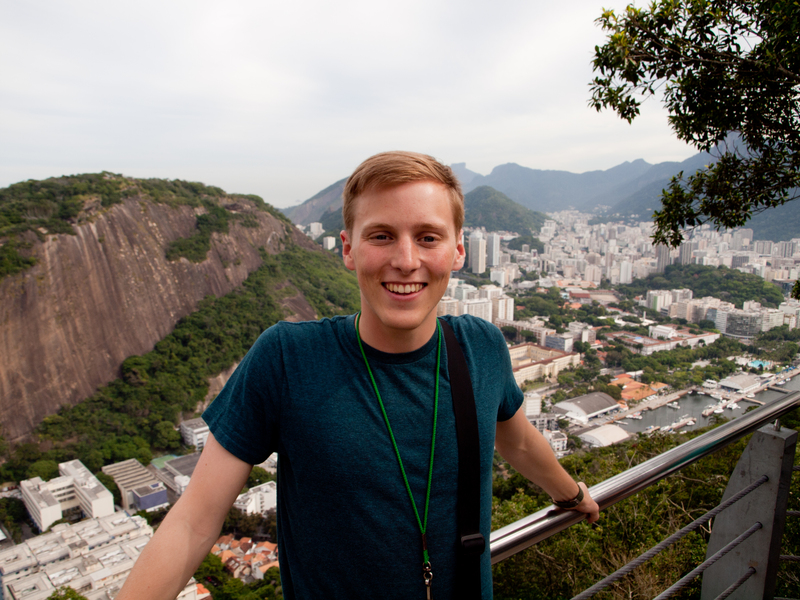 When I was awarded the Frances L. Phillips Travel Scholarship, I thought I knew exactly how my time in Brazil would be because I had planned and researched for weeks and months in advance. I had an outline of where I wanted to go, what I wanted to do and who I wanted to see. However, looking back on my experiences now, no amount of research would have prepared me for my adventures. Although I checked off to-do items from the proposal I submitted to the scholarship committee in Nov. 2014, some of my most memorable experiences were the ones that I never anticipated. For example, my experience in São Paulo was one of stress, but it was also one of the best weeks I had in Brazil. I never made it inside a stadium there, and while I could have fretted about missing an item on my proposal, I instead enjoyed the moment with the people around me. 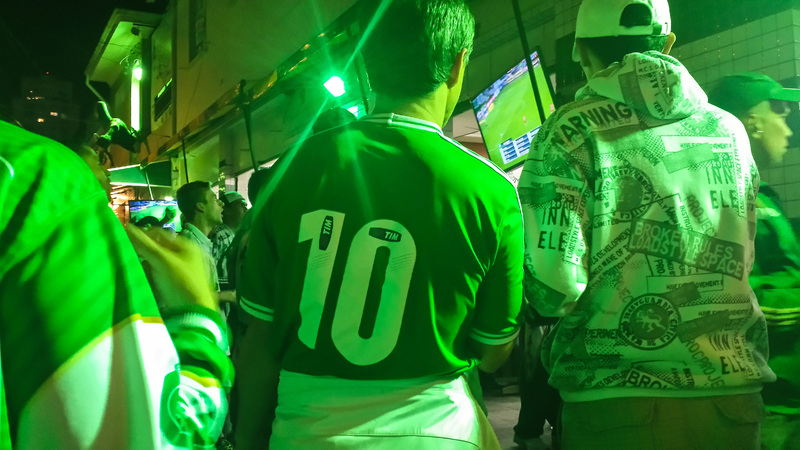 I tried to see Palmeiras, a São Paulo team, play Internacional at Allianz Parque, but after an hour of waiting in line for a ticket, which proved to be unsuccessful for me and many others, I decided to walk approximately 10 meters across from the ticket office to enjoy the game at a bar on the corner of Caraíbas and Turiassu. While I was unable to spectate the game from inside the stadium, my experience outside of it was arguably even better. I watched as families and friends crowded around TVs stationed inside the small corner bar. Occasionally, I would walk just outside to witness a giant group of green-and-white clad supporters urge their team on. The passion they showed for their team and the sport was awe-inspiring. Teenagers and young adults led chants and songs, and families and adults would join in on the fun. And while one could make the argument that their singing and urging did not sway the performances of the players on the field, I do not think I nor you could convince them otherwise. 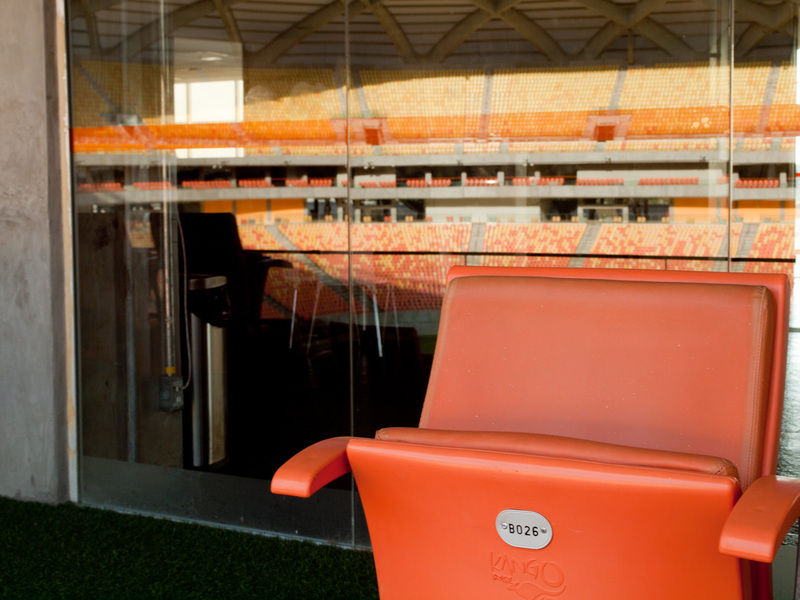 In February, I wrote about how Arena da Amazônia, a stadium in Manaus, is “useless” because no team, big or small, uses the stadium day in, day out. My visit there only confirmed my suspicion. In order to host the 2014 FIFA World Cup, Brazil had to restructure old facilities across the country as well as build a luxurious stadium in the heart of the Amazon, but the decision to do so may have been the wrong one. 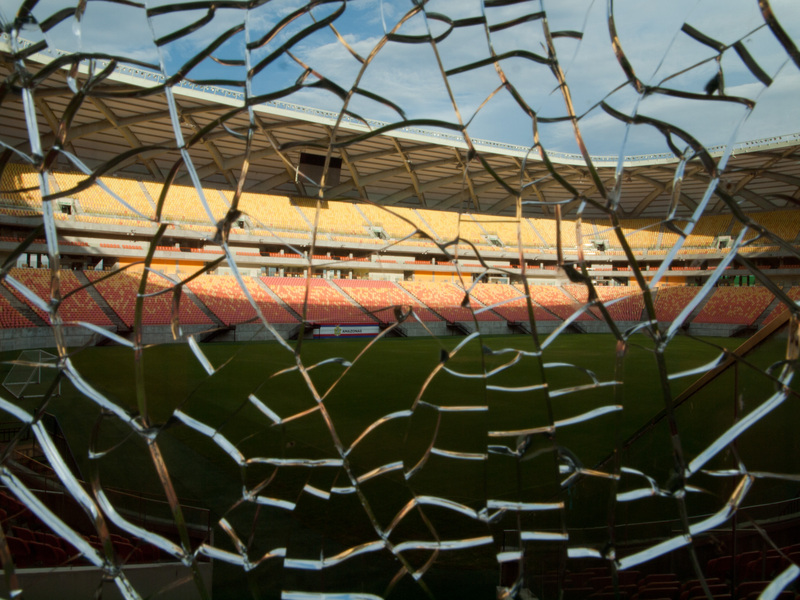 During my tour of the stadium, I witnessed water-stained cement, chased down a stray cat in the facility, noticed a sliver of copper wire poking out of the ground in a locker room and also peered through cracked glass panes around the grounds. Manaus taught me that soccer is an important part of the daily life for most Brazilians, but that does not mean the game is necessarily needed in every community across the country. The game is very much prevalent in Manaus, with flags and jerseys of teams from far away sold in stores. People talk about soccer in daily conversation as if it were as commonplace as bringing up the weather. Even my host was intrigued to know my scholarship focused on soccer because she adored Fred, a Brazilian national team and Fluminense player. I talked to her in broken Portuguese while she attempted in broken English, and I learned that she had only been to a handful of games in person, with two being in 2014 during the World Cup. However, there is more to enjoy in Brazil than soccer, and Manaus is one of those places because the city is perfect for those who love outdoor activities and quality food. Manaus is — and, to me, remains — an unsuitable location for a stadium but a perfect destination for any and all travelers. When I returned from my visit to Manaus, I only had two days remaining until I departed for the U.S. The time left afforded me an opportunity to think about my journey and winter in Rio de Janeiro, a city I called home for a majority of my stay. My sister, Hannah Cranford, currently is a community public health educator for the Peace Corps and is working in El Candelon, Dominican Republic. She visited me for 10 days in Rio, and while I enjoyed all of the activities we shared, I enjoyed the time we talked about life most of all. What is a “home” and where is it exactly? How long do you have to live somewhere before you can say that you have “lived” there? For me, I said I think that residing somewhere for one month is a suitable time for anyone to say that they had lived in that particular place, while Hannah said that three months was a better estimate. However, Hannah also said you truly know you have lived somewhere when you become lonely in that space. She added that loneliness is an important distinction because when you are simply traveling, you see and think about the space you currently reside in as being temporary. So, finally experiencing loneliness in a space means that you have lived there long enough for its initial euphoric luster to fade. What you are left with is the space that actually is — the space that is not temporary because it is known. While living and traveling through Brazil from May 2015 to Aug. 2015, I learned much more about soccer, journalism, photography, life, loneliness, passion, pleasure, fun, people and food than I anticipated. 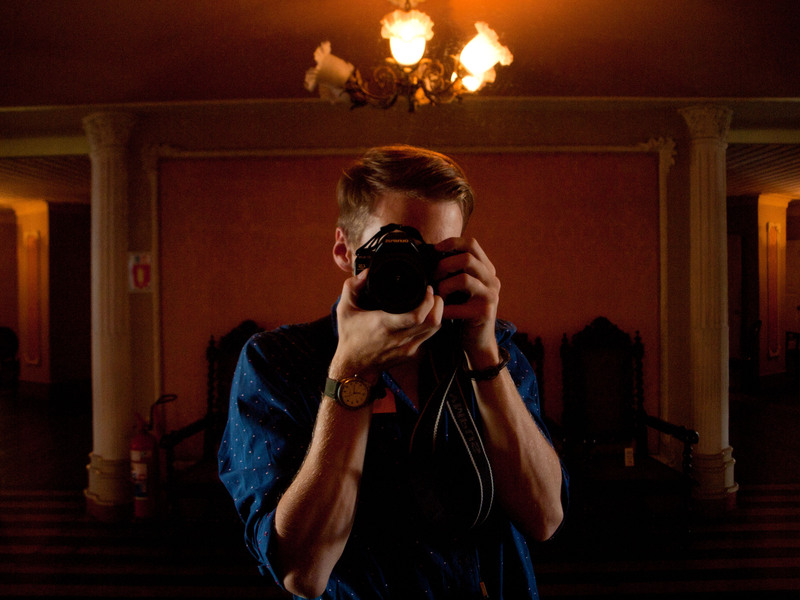 Most of all, though, I learned that traveling independently teaches you a valuable life skill: self-confidence. You do have the power, strength and courage needed to do what you want, when you want. When in a massive city and most if not all people are not speaking the same language as you, you do have the natural abilities to make your situation exactly how you want it to be. Are you afraid of using a new transit system in a big city but also want to go to a game an hour walk from your place of stay? You can make it happen. You can walk. You can look silly asking for help. No matter what decision you make, you have the skills and tools necessary to survive and excel in this world. Traveling independently just helps you realize that. In my final words, I want to first thank the Frances L. Phillips Scholarship committee for choosing me as a recipient of this amazing award. I am truly honored and remain humble, even as I type these words of gratitude. I also especially want to thank Dr. Jennifer Ho, Michael Highland and Richard Vernon. Each were kind enough to offer their assistance and words of encouragement as I applied for the scholarship, and I doubt I would have been awarded the opportunity if not for their help. Finally, to all of my travelers out there, travel humble, travel happy. Have you traveled to Brazil? How was your experience?